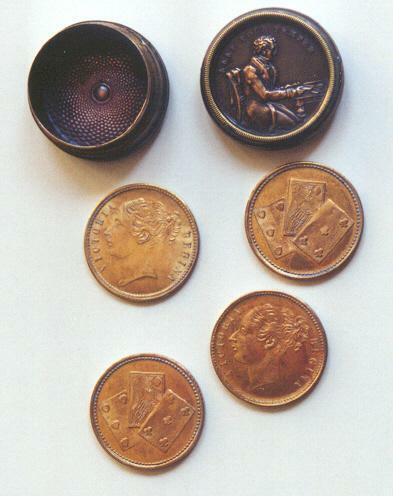 One of the first kind of Long Whist Marker was composed of a box containing four tokens. 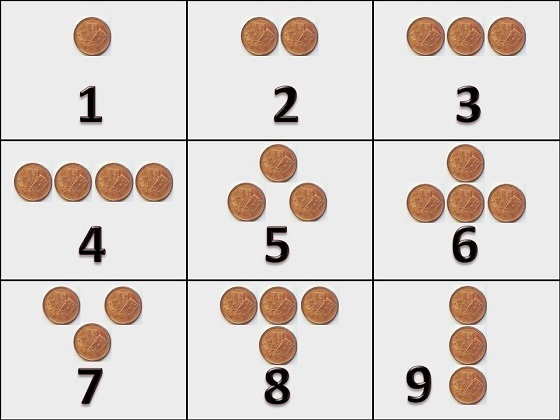 The position of the tokens on the table, known as Hoyle's scoring method, indicated the number of points. To summarize, tokens horizontally aligned each counts for 1 point. 1 counter over the others counts for 3 points. 1 counter under the others counts for 5 points. Copyright (c)2015 The Whist Markers Museum | Design by NodeThirtyThree.